We are H2L, short for 「Happy Hacking Life」. We are a company that aims to us the latest technology to provide happy life experiences. 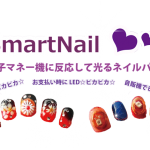 In 2015 we began sales for 「UnlimitedHand」, a product aimed at researchers and developers. 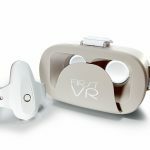 This year in 2018, we will begin sales for 「FirstVR」a product aimed at regular consumers. 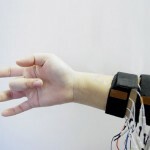 UnlimitedHand and FirstVR is able to send information of hand movement and gestures collected from muscle motion sensors to computing devices. The movements of robots, characters in VR and AR can be controlled by our products. UnlimitedHand, our crowdfunded product for developers was premiered at TechCrunch Disrupt San Francisco. It took only 22 hours on Kickstarter to reach our goal. This internship is intended to last from 4 to 8 weeks. Students who are interested in creating new technology are welcome to join us. Starting July, August, September, lasting for 4 – 8 weeks. Applicants will be notified by mail.